rickcanale has no other items for sale. 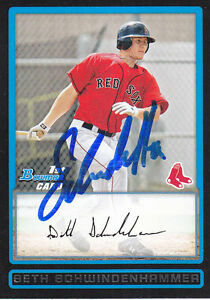 MIKE TROUT 2009 #1 GOLD PLATINUM LIMITED DRAFT PICK ROOKIE CARD ONLY 2000 MADE. 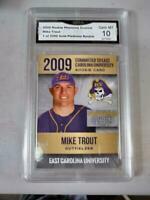 $-100- Mike Trout Rc 2009 GMA GRADED 10 ONLY COLLEGE ROOKIE CARD EVER PRINTED. Mike Trout GMA GEM MINT 10 GOLD 2009 Millville HIGH SCHOOL ROOKIE CARD. BRYCE HARPER-5 CARD GOLD HS COLL ML ROOKIE INVESTMENT ROOKIE CARD SET PHILLIES! $100- Mike Trout Rc 2008 GMA 10 RC Onyx Limited Millville High Gem MT-2000-MADE. $ -100 - Mike Trout Rc 2009 GMA 10 Rookie Phenoms Onyx Draft Pick Gem 2000 MADE. To Provide outstanding, individualized education, training and intervention services to children and adults with ASD (Autism Spectrum Disorder); in order to allow those we serve to achieve their full potential and participate as fully as possible in family and community activities throught their lives. Sales tax may apply when shipping to: IA*, MA (6.25%), MN*, WA*.